The Bible is used against homosexuality. Does it also promote slavery? 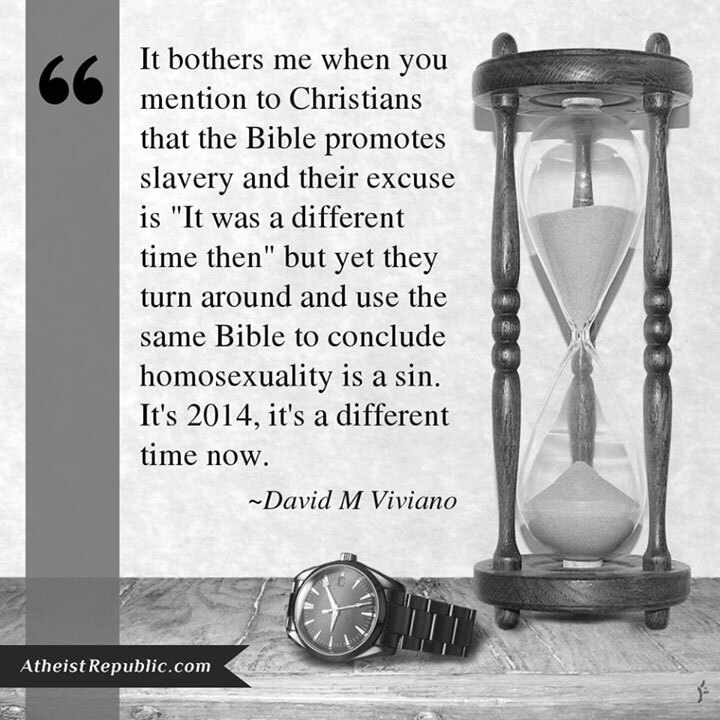 It bothers me when you mention to Christians that the Bible promotes slavery and their excuse is "It was a different time then" but yet they turn around and use the same Bible to conclude homosexuality is a sin. Its 2014, it’s a different time now.